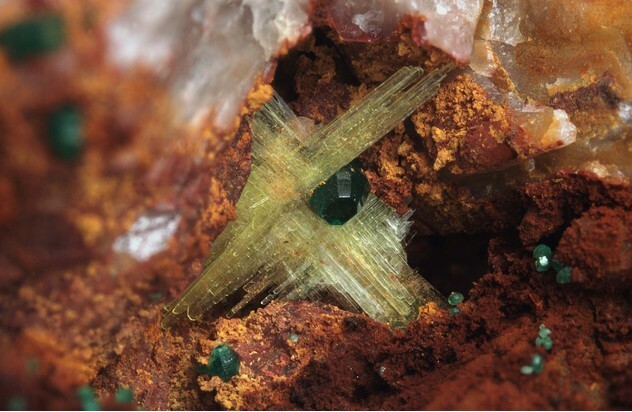 Sabugalite: Mineral information, data and localities. 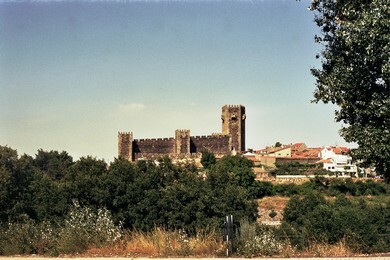 Named in 1951 by Clifford Frondel for the town of Sabugal, Portugal, near the type locality of the Bica Mine. Note: most of the photos shown here do not seem show reliably confirmed sabugalite (see discussion in https://www.mindat.org/mesg-7-371177.html). A hypothetical As analogue is Paulite (of Bültemann). Frondel, C. (1951) Studies of uranium minerals (VIII): sabugalite, an aluminum-autunite. American Mineralogist: 36: 671-679. Torbernite 8 photos of Sabugalite associated with Torbernite on mindat.org. Autunite 4 photos of Sabugalite associated with Autunite on mindat.org. Phosphuranylite 1 photo of Sabugalite associated with Phosphuranylite on mindat.org. Vochten, R., Pelsmaekers, J. (1983) Synthesis, solubility, electrokinetic properties and refined crystallographic data of sabugalite. Physics and Chemistry of Minerals: 9: 23. The following Sabugalite specimens are currently listed for sale on minfind.com. R. Pierrot, L. Chauris, C Laforêt and F. Pillard : "Inventaire Minéralogique de la France N° 9 : Morbihan", BRGM, 1980. Gramaccioli, C.M., Scaini, G., Gentile, P., De Michele, V., Mannucci, G. (1992): Natura in Lombardia. I Minerali. Regione Lombardia, Ed., Milano, 223 pp. Maida, F. (2002): Descrizione delle specie e varietà di minerali e loro ritrovamento nella bergamasca. G.O.M. Gruppo Orobico Minerali - Novecento Grafico, Ed., Bergamo 82 pp. Stara, P. (1990): La miniera di San Leone (CA). Rivista Mineralogica Italiana, 3/1990, 121-136. Garavelli, C., Mazzi, F., Rinaldi, F. (1959) Minerali secondari di uranio della zona di San Leone (Cagliari). Atti della Società Toscana di Scienze Naturali, Serie A, 237-261; Garavelli, C., Mazzi, F., Rinaldi, F. (1959) Minerali secondari di uranio della zona di San Leone (Cagliari). Comitato Nazionale per le Ricerche Nucleari, Studi e ricerche della divisione geomineraria, 2, 275-298; Ravagnani, D. (1974) I giacimenti uraniferi italiani e i loro minerali. Gruppo Mineralogico Lombardo - Museo Civico di Storia Naturale, Milano, 188 pp. Campostrini, I., Demartin, F., & Gramaccioli, C. M. (2006). Rio Giulis. Minerali secondari del giacimento uranifero presso Condino, Trento. Rivista Mineralogica Italiana, 30(3), 152-165. Anthony, J.W., et al (1995), Mineralogy of Arizona, 3rd.ed. : 359. Galbraith, F.W. & D.J. Brennan (1959), Minerals of Arizona: 75; Anthony, J.W., et al (1995), Mineralogy of Arizona, 3rd.ed. : 360; Holland, H.D., et al (1958), The use of leachable uranium in geochemical prospecting on the Colorado Plateau - II, The distribution of leachable uranium in surface samples in the vicinity of ore bodies, Econ.Geol. : 53: 190-209. Anthony, J.W., et al (1995), Mineralogy of Arizona, 3rd.ed. 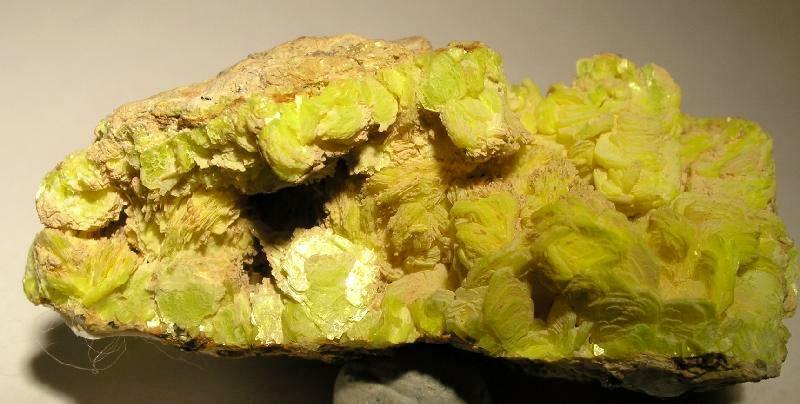 : 360; Holland, H.D., et al (1958), The use of leachable uranium in geochemical prospecting on the Colorado Plateau - II, The distribution of leachable uranium in surface samples in the vicinity of ore bodies, Econ.Geol. : 53: 190-209.; Galbraith, F.W. & D.J. 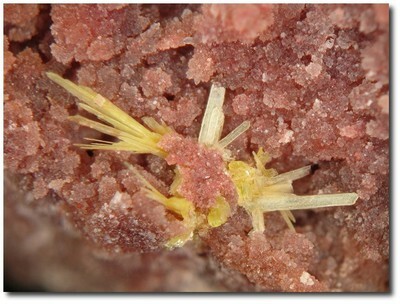 Brennan (1959), Minerals of Arizona: 75. Anthony, J.W., et al (1995), Mineralogy of Arizona, 3rd.ed. : 360; Holland, H.D., et al (1958), The use of leachable uranium in geochemical prospecting on the Coconino Plateau - II, The distribution of leachable uranium in surface samples in the vicinity of ore bodies, Econ.Geol. : 53: 190-209; Galbraith, F.W. & D.J. Brennan (1959), Minerals of AZ: 75. Anthony, J.W., et al (1995), Mineralogy of Arizona, 3rd.ed. : 360; Holland, H.D., et al (1958), The use of leachable uranium in geochemical prospecting on the Colorado Plateau-II, The distribution of leachable uranium in surface samples in the vicinity of orebodies, Econ.Geol. : 53: 190-209; Galbraith, F.W. & D.J. Brennan (1959): 75. Murdoch, Joseph & Robert W. Webb (1966), Minerals of California, Centennial Volume (1866-1966): California Division Mines & Geology Bulletin 189: 326. Pabian, Roger (1993) The Minerals and Gemstones of Nebraska, Nebr. Conservation & Survey Div. Educational Circular No. 2. Kampf, A.R., Plášil, J., Kasatkin, A.V., Marty, J., and Čejka, J. (2018) Markeyite, a new calcium uranyl carbonate mineral from the Markey mine, San Juan County, Utah, USA. Mineralogical Magazine, 82, 1089-1100.